#Lime Scooters : A $2 billion valuation company running on a #domain hack! :DomainGang #Lime Scooters : A $2 billion valuation company running on a #domain hack! 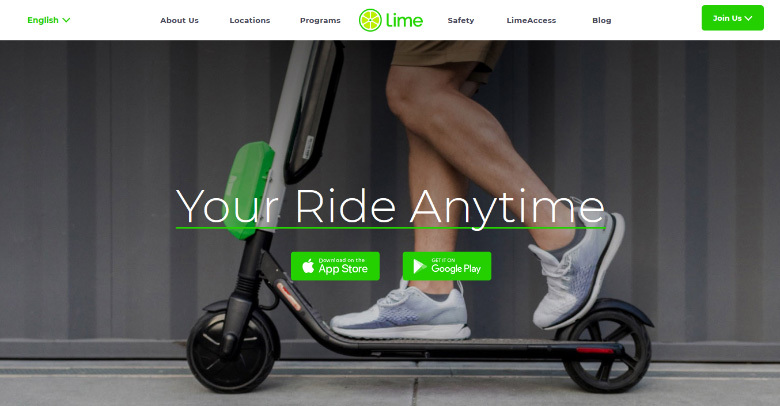 Lime is a two year old scooter company that has secured $400 million dollars in investments, on a $2 billion valuation that excludes the fresh cash. Electric scooters have been getting a lot of global adoption, as they are more compact than electric bikes and portable. Many domain investors go gaga about generic dictionary words as the ultimate destination for a company. Despite its advanced finances, Lime operates from a domain hack – the ultimate short variant of a domain name – that’s no other than Li.me. Lime Scooters also owns LimeScooters.com and Lime.bike, that both forward to Li.me. The latter, appears to have been acquired directly from the dot .Me Registry in late July 2018. There are no reports about the sales amount involved in this direct sale. And there lies the beauty of content importance as related to a keyword; Google’s intelligent SEO algorithms promote the best related content, not the best related keyword. So who owns Lime.com, the generic dictionary domain that Lime scooters would be expected to use? Apparently, Lime is a former telecom brand that has been acquired by C&W Communications. Lime.com forwards to a lander showcasing the corporate assets of the company. Due to that forwarding of the domain, Lime.com is nowhere to be found on Google’s first page. Would Lime, the scooter company, shell out cash to acquire the domain Lime.com for a few cool millions as many domain investors would expect? Judging from Lime’s successful top SEO implementation, it doesn’t seem that’d be necessary. Lime can invest its surplus cash on expanding its distribution infrastructure and improve its technology and products. In the world of start-ups, wise money management tops the need for a matching .com. You make the entirely-correct point that domain investors go “gaga” over dictionary-word domains, but then intimate that domain “hacks” are something other than that. In truth, of course, “hacks” are the original dictionary word domains, as they form a word exactly; a word that is only separated by a dot with no additions. For a TLD like .com, then, to have relevance as a true dictionary domain it’d need to be a name such as tele.com, inter.com. I won’t bother checking a dictionary, as I don’t think there will be too many!